Bible study Every Thursday 11:30am~1:30pm. Join and leave freely according to your schedule. Cafeteria upper level; see map of the Indoor BFA table . Welcome Lunch: 11:40am April 18 Thursday; lunch is served around 12pm. Don Bautista room in the back of the cafeteria. See Campus-Center-map . 5:40pm March 20 Wednesday; dinner is served around 6pm. Santa Cruz room in the back of the cafeteria. See map. 5:40pm January 16 Wednesday; dinner is served around 6pm. Every Thursday 11:30am~1:30pm. Join and leave freely according to your schedule. 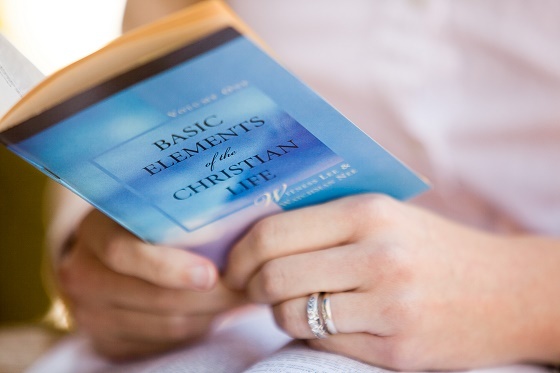 From Basic Elements of the Christian Life, vol. 1, by Witness Lee and Watchman Nee (mass-distribution ed., pp. 14-15). Bibles for America gives this book away for free. You can order your free copy here. You can also download a free PDF version here.